I popped by at Office today in hopes of finding a pair of practical and comfortable walking shoes for autumn weather. Silly me only brought heels with me to London so, in result, my feet are now dying from having done so much walking. Heels are gorgeous but really not made for walking for miles and miles. True to my shoe lovin' self I couldn't take my eyes off the following pairs of heels. They are oh! so gorgeous and drool worthy but really not what I truly need right now. 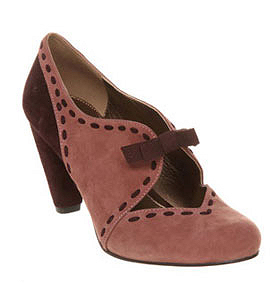 My favorite pair is "fancy footwork" in pink and burgundy suede. 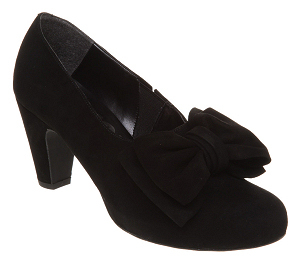 They remind me of these perfect 1940s pumps that I still haven't stopped daydreaming about. Those are so cute! Esp love the second and third ones. 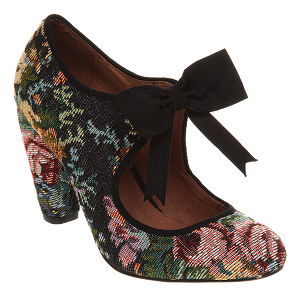 Ooh, the first pair are gorgeous, I wonder how walk-friendly they are? Mycah - Oh, those are cute ones! Oxfords are a big thing in here too and I've seen similar ones to F21 at a couple of stores. I will probably end up buying a pair even if they aren't exactly what I'm after.